Bishop Oyedepo, Dr Oyakhilome others to receive awards today at Idahosa Legacy Celebrations. *First time for both ministers on same platform. *VP Osinbajo to deliver public lecture. All roads lead to the Balm of Gilead City as Bishop David Oyedepo, Pastor Dr Chris Oyakhilome, Obiageli Ezekwesili and Dr Godwin Ehigiamusoe receive awards at the 50th Anniversary of Church of God Missions International(CGMI) also called the Idahosa Legacy Celebrations for being steadfast supporters of the Ministry of the revered Archbishop Benson Idahosa, 20 years after his departure. The week has been filled with activities from Monday 10 Sep 2018 graced by notable men of God like Archbishop Duncan Williams, Pastor Ayo Oritsejafor, Dr Uma Ukpai, Bishop Wale Oke, Rev Felix Omobude and Apostle Johnson Suleman among others. Starting with the dedication of Benson Idahosa Cathedral Academy and Event Centre as well as the 1.2km dual carriageway road both built and constructed singlehandedly and donated to Benson Idahosa University (BIU) by Bishop Matthew Okpebholo followed by Archbishop Idahosa Memorial Centre (AIM) foundation laying ceremony at the BIU Okha Campus. Today is the grand finale of the CGMI Got Talents top 10 awards/Musical Concert as well as a Public Lecture by Vice President and a Presentation of Compendium and AWARD CEREMONY. The venue is the Balm of Gilead City. The event today will indeed be notable as it will be the first time Bishop Oyedepo and Pastor Chris Oyakhilome, both mentees of Benson Idahosa will be gracing the same event in memory. 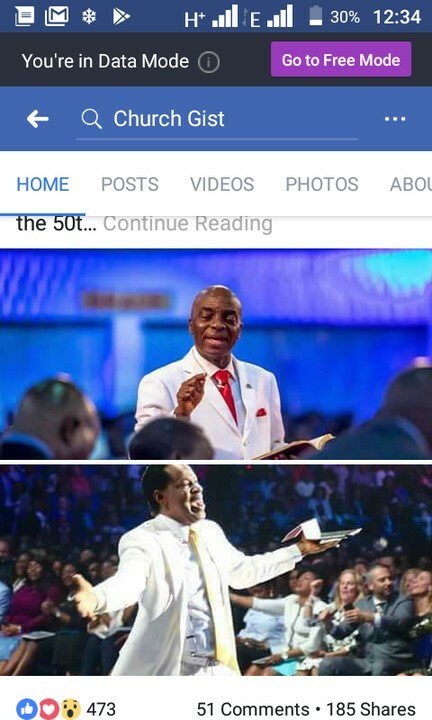 As at press time however, Chris Oyakhilome was in Ghana while Bishop Oyedepo was on his way out of Ota after leaving Benin earlier in the week to Ilesa and Port Harcourt for a dedication at David Ibiyeomie’s Salvation Ministries before returning to Canaanland yesterday.